​Aquatel has manufactured exclusively a 6vdc 300ma universal switch mode power pack. This Aquatel approved power pack is for use with all of our Display modules. 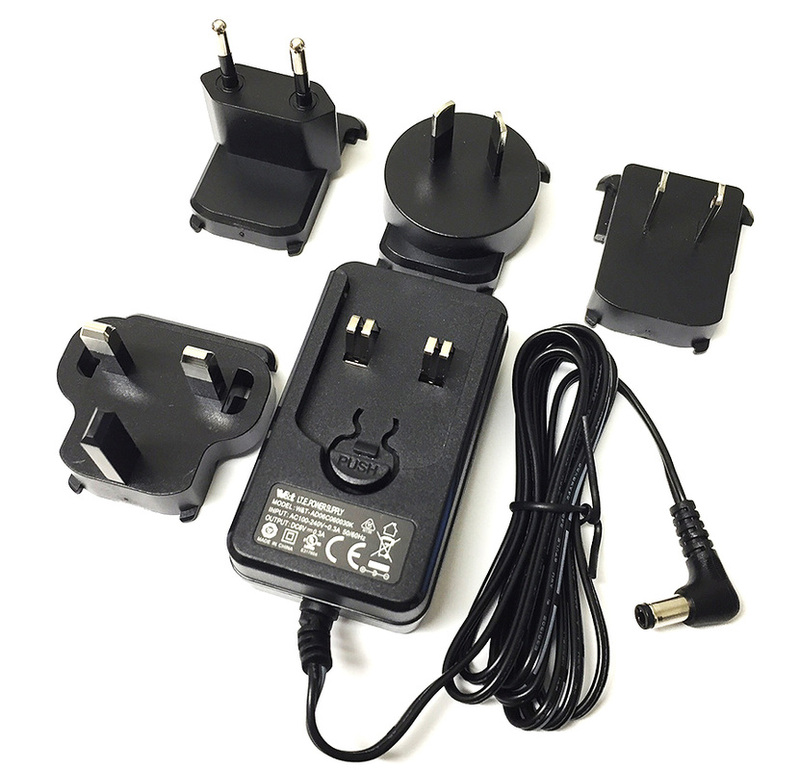 It carries many approvals including CE and comes with three different plug adaptors for NZ/Australia, US and the UK. This can be used on any AC supply voltage from 100-240vac. 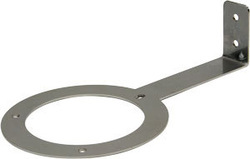 Aquatel's Tank Unit mounting bracket is made locally in New Zealand from quality 316 Marine grade stainless steel to ensure long life in hi humidity conditions. The AQSMB Mounting bracket, makes the installation of the Tank Unit in a riser or underground tank easy. This is a must have accessory if you're planning to mount the Aquatel Tank Unit inside any underground tank or cistern. Aquatel's custom made Antenna Extension Cable kit AQC36 has everything you need to extend your antenna up to a point 3.6m (12 foot) away. These kits are most commonly used to raise that antenna higher up above the ground to help avoid obstacles in direct line of sight. The higher above the ground the better distance you will achieve between the Aquatel units. 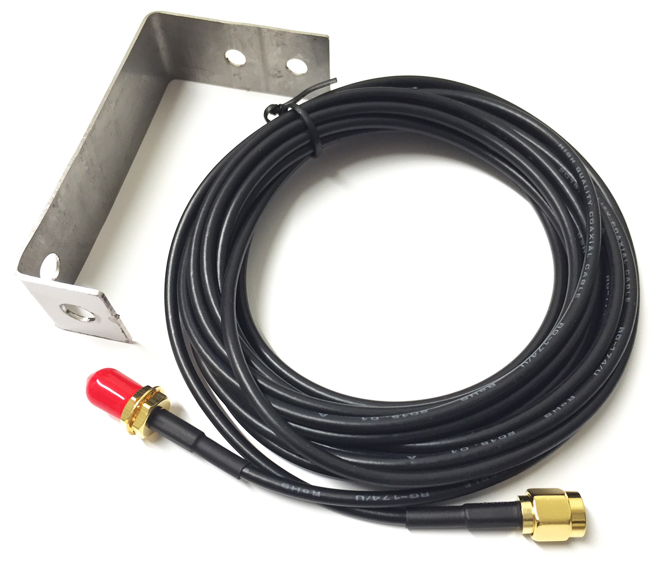 This kit includes a stainless antenna mounting bracket (wall or roof mounting), 3.6m (12 foot) antenna extension lead, screws and masonry plugs. This kit is compatible for use with all D110, T110 & M107-BT systems. Aquatel's custom made Antenna Extension Cable kit AQC10 has everything you need to extend your antenna up to a point 10.8m (34 foot) away. These kits are most commonly used to raise that antenna higher up above the ground to help avoid obstacles in direct line of sight. The higher above the ground the better distance you will achieve between the Aquatel units. 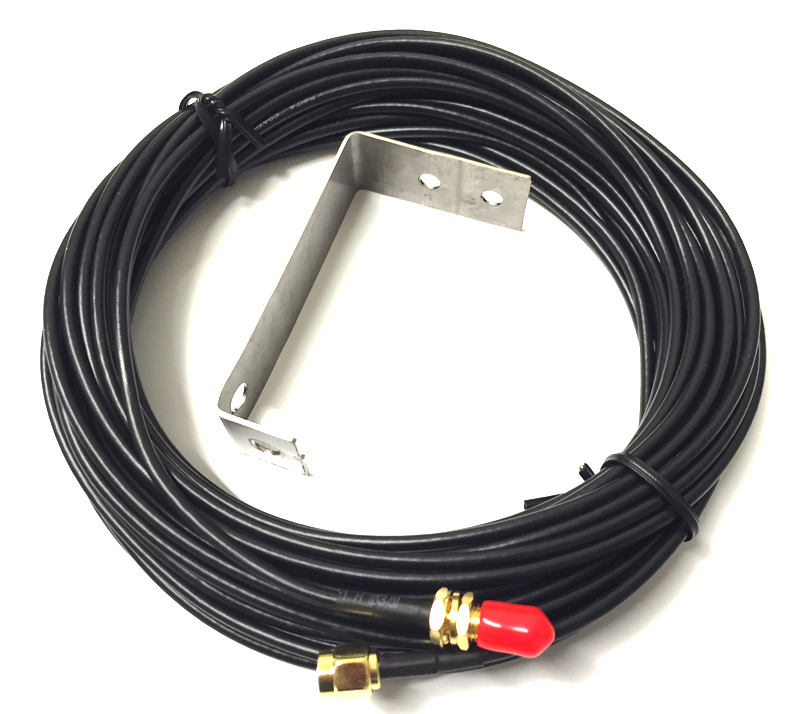 This kit includes a stainless antenna mounting bracket (wall or roof mounting), 10.8m (34 foot) antenna extension lead, screws and masonry plugs. This kit is compatible for use with all D110, T110 & M107-BT systems.